It's time for the monthly update email: Mr. Cutter is a patron interested in furniture, your newest customer Ms. Summer will receive the general catalogue. You want to make sure that each recipient gets the perfect attachment with his or her email - do you have to design two different mailings? Not if you use SmartSerialMail, the versatile email marketing software! Decide which file shall be sent to which customer and use different attachments to secure your recipients' interest. Placeholders help you match customers to email attachments. Sort your customers by name, date of first order, interests, or any other value found in your customer lists. Create personalized attachments with the SmartSerialMail Enterprise Edition - not external applications required! You want to send your customers vouchers granting a discount based on their last order. Depending on the kind of order the discount may vary. You create a Quickpart for each voucher and save it. Don't forget to use placeholders to personalize the quick part! Go back to the HTML editor open the context menue and select the quick part under "Quickpart as file". Now chose the format you want to save the file and select "attach". SmartSerialMail will switch out all placeholders in your quick part for content of your recipient list and generate the attachment! 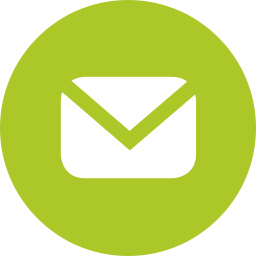 Your customers will receive their emails with their very own personal voucher. Individual attachments make optimal use of your customer data and enable you to tailor offers to each recipient.